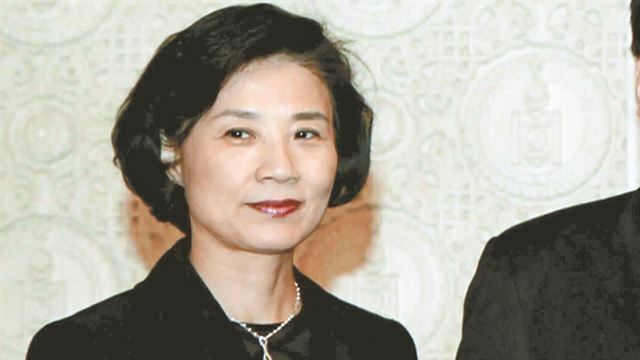 The wife of Korean Air Chairman Cho Yang-ho is expected to be questioned by police Monday over allegations that she used verbal and physical violence against the company’s workers. Lee Myung-hee, 69, is the third member of the family to be grilled by police over the alleged mistreatment of construction workers and employees, along with her two daughters. The Seoul Metropolitan Police Agency said it has gathered testimonies from 10 victims who said they were ill-treated and abused by Lee. It is reviewing whether to press charges on violations of the law including physical violence, business obstruction, habitual assault and violence involving authority. While physical violence cannot be punished against the will of the victim, other charges could be subject to punishment without the victim’s consent. According to the police, all the victims wanted Lee to be punished, but there is also a possibility of Lee reaching a settlement in Monday’s investigation. On May 6, police indicted Lee without detention over alleged physical and verbal abuse, after gathering testimonies from 10 victims including construction workers, housekeepers and guards. They started investigation into the case in late April, after video clips and recordings allegedly showed Lee’s misbehavior. There was also a voice recording that allegedly showed Lee using abusive language against a construction worker who was working on the remodeling of her house in 2013. Her two daughters are also being investigated for similar incidents and other irregularities. Cho Hyun-ah, the heiress of Korean Airlines notorious for the “nut rage” scandal, was questioned by the immigration office on Thursday over a fresh allegation that she illegally hired at least 20 Filipino maids. Police also conducted an inquiry into Cho’s younger sister, Cho Hyun-min on May 1, over allegations of assault and obstruction of business. The former Korean Air senior executive was revealed to have taken abusive actions, including abusive language, against her company’s workers.